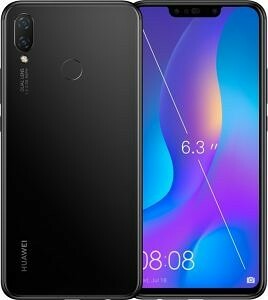 Last week, we exclusively reported full specifications and press renders of the Huawei Nova 3. The Huawei Nova series is Huawei’s mid-range smartphone series, and the Nova 3 series slots up below the Huawei Mate 10 series as well as the Huawei P20 and the Huawei P20 Pro. The Huawei Nova 3 went up for pre-order in China before its official launch, and now the company has revealed its pricing. 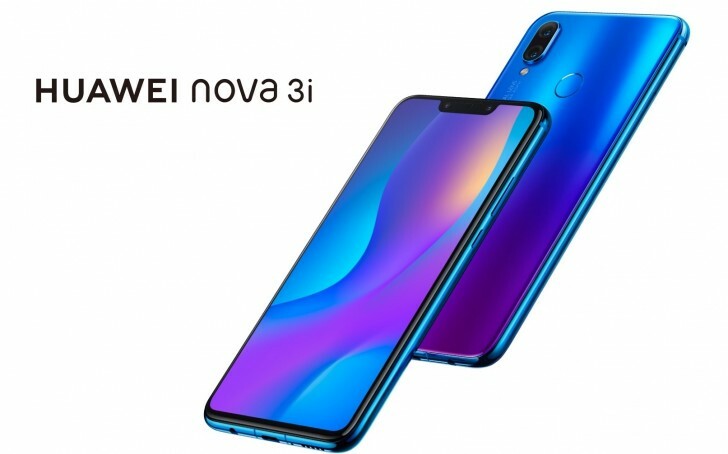 The Huawei Nova 3i, a “lite” variant of the Nova 3, has also been made official. The Huawei Nova 3i’s differentiating feature is the inclusion of the HiSilicon Kirin 710 system-on-chip. This is HiSilicon’s first-ever 700 series SoC. In terms of branding, the Kirin 710 has the same model number as the Qualcomm Snapdragon 710, which is found in the Xiaomi Mi 8 SE. The Huawei Nova 3i’s specifications are lower than that of the Huawei Nova 3 as well as the Honor View 10 and the Honor 10. Compared to the Nova 3, the Nova 3i downgrades the rear camera (2MP depth sensor vs. 24MP monochrome camera), SoC (Kirin 710 vs. Kirin 970), and battery charging (10W vs. 22.5W Huawei SuperCharge). The Kirin 710 SoC is fabricated on a 12nm process. In terms of CPU performance, it’s very close to the Kirin 970, as it retains the “big” Cortex-A73 cluster and the “little” Cortex-A53 cluster. This means that in terms of CPU performance, it’s a substantial upgrade over the Kirin 659, which is found in many Huawei/Honor budget phones. The Kirin 600 line of series did not have a big CPU cluster, which naturally meant that their single-core performance was not as high as competing SoCs having a big CPU cluster. Huawei states that the SoC offers 75 percent higher single-core performance and 68 percent higher multi-core performance than the Kirin 659. The GPU used in the Kirin 710 is currently unknown, but the company states that it’s 1.5 times better than the Kirin 659’s GPU. This is a bit disappointing to hear, as the Kirin 659’s GPU compared with the Snapdragon 625, meaning that it fell considerably below newer Qualcomm SoCs such as the Snapdragon 636 and the Snapdragon 660. In this regard, it’s likely to expect the Snapdragon 710 (as well as the older Snapdragon 660) to have better GPU performance. The CPU specifications are also a generation older than the Snapdragon 710. The SoC has support for LTE Cat12 and Cat13. It also supports dual SIM dual 4G VoLTE, a feature which is becoming increasingly widespread in 2018 smartphones. The Kirin 710 doesn’t have dedicated hardware for AI in the form of a NPU. It does have support for scene recognition and Face Unlock. The standard Huawei Nova 3 will be available starting 10:08 am on July 19 in China in Black, Blue, Gold, and Purple colors. It comes in a single 6GB RAM/128GB storage variant, and it will be available for CNY 2,999 ($444). The Huawei Nova 3i costs CNY 1,999 ($296) for the 4GB RAM/64GB storage variant and CNY 2,199 ($326) for the 6GB RAM/64GB storage variant. The pricing for the top-end 6GB RAM/128GB storage variant isn’t known yet. The phone comes in Black, Purple, and White colors, and it will be available for purchase in China starting 10:08 am on August 10. Let us know your thoughts about the new phones in the comments below.